This is an adventure style trip with mid range, clean accommodations (apartment rentals). There will be shared rooms and shared bathrooms in all locations, unless you pay a single supplement fee to have your own room. Email us if you would like your own room and we can sort it out for you. This is where we start the trip, as there is an airport near by. We will stay in air bnb's right near the water and about a 25 min drive from Split. There will be rooms shared by 2 people in this location and shared bathrooms. 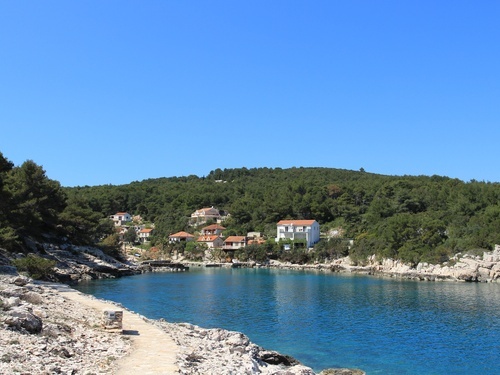 On Hvar Island we will stay in air bnb rentals and live like the locals in the small, quiet bay of Basina. There are several apartments/ homes all next to each other that we have rented so there is a good amount of space. The common area/ eating area/ yoga deck is a great space to all come together. This is a serene spot with super friendly hosts and so much surrounding beauty and nature. It is tucked away so we feel remote but there are quaint little island towns within walking distance that have great restaurants and cute shops. There will be rooms shared by 2 people in this location and shared bathrooms. There is a significant amount of stairs to get to the studio and back to the apartments. We will be staying in an air bnb that is composed of 4 separate apartments (fully equipped) that all share one giant terrace over looking the ocean. It is only 15 minutes walking distance from the ‘old town’ of Dubrovnik and is very centrally located. There will be rooms shared by 2 - 4 people and shared bathrooms. There is a significant amount of stairs to get to the studio and back to the apartments.